I spoke to Tony Bennett! On Sunday night I dinner with colleagues in New York City! 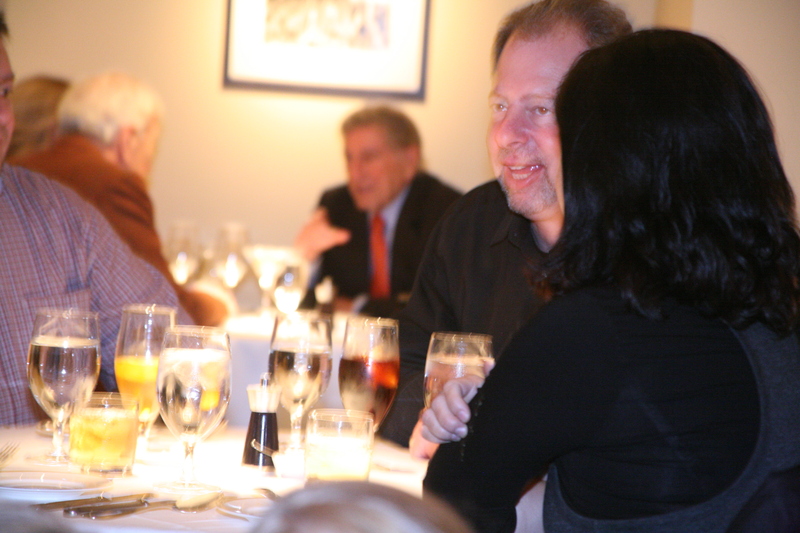 It was a great night celebrating 2011 with our sales champions. 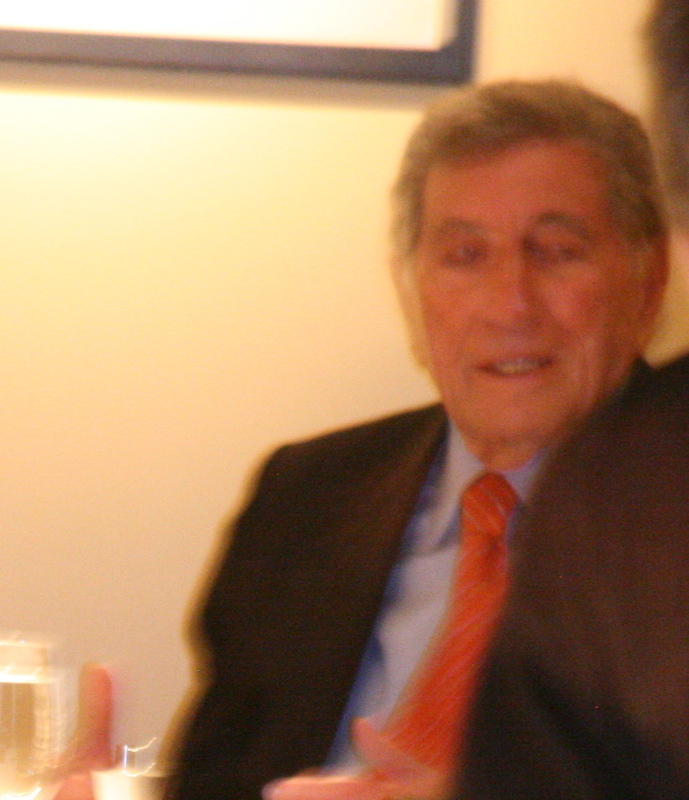 While we were there Tony Bennett came in to have dinner. I set my intentions that I was going to speak with him. So, I did! One of the ladies we were with was a fan and it was her birthday a few days prior. So, I went up to him and asked him if we were still here when he left and he could say hello- that would be great. 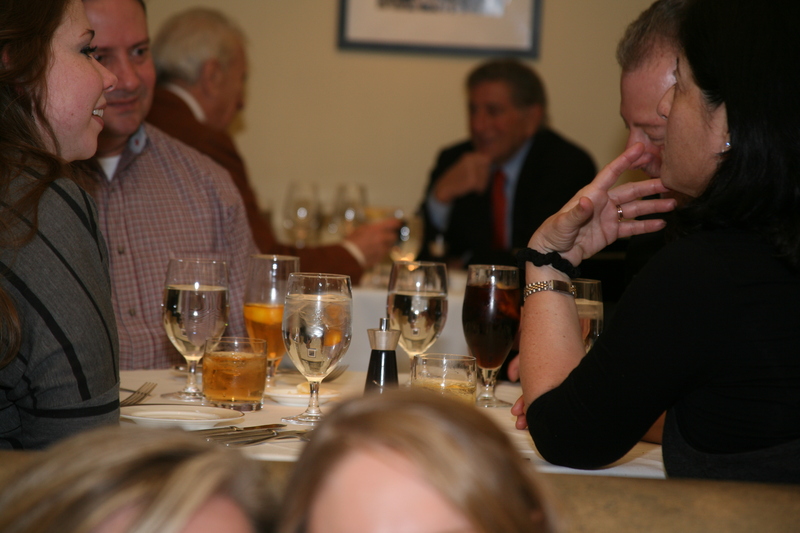 He was so polite, he stood up when I went up to the table. I was shaking after I spoke to him. I am proud that I didn’t talk myself out of doing of speaking to him. He has probably already forgotten about it, but I haven’t. Here are a few pictures that I were able to capture. They aren’t that great, but we had fun trying to get them. Pretending to take pictures of Michelle and Courtney! It was very cool and a great night! Congratulations for having the courage to go up and talk to him. I’ve been a fan of Tony’s since he recorded “I Left My Heart in San Francisco” when I was in college waaay back in the ’60’s. The ballad resonated deep in me and every time I heard it, I could go back to those days when I was so young and impressionable. It might be one of the reasons I moved to the Bay area in the ’90’s and bought a home just south of San Francisco in 2002. At the end of San Francisco Giants games, they play Tony singing his signature ballad. I’m sure everyone leaving the park gets a chill and feels special for living in such an wonderful town. Thank you! It was out of my comfort zone and I am glad that I went up to him. He was soooooo polite. Have a great day!